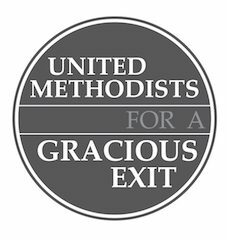 United Methodists For A Gracious Exit – A call to pass a "Gracious Exit" as we seek a "way forward"
This letter was written jointly by a theologically diverse group of clergy from the West Ohio Conference. For years many of us have attempted to work together to try and find common ground across the theological spectrum here in our conference. We recognize given the choices of “options” the delegates at the Special Session of the 2019 General Conference have to choose from, that there is no single solution that every local church and clergy person will find acceptable. Regardless of whichever option is adopted, we believe that a “Gracious Exit” will be necessary for some local churches and clergy so we might all be able move forward in an attitude of love and peace. We encourage you to read our statement, and if you are a United Methodist lay or clergy member who feels so led, join us in calling for legislation that will result in a responsible, fair, and gracious opportunity for departure for those who feel like they can no longer walk under the banner of the United Methodist Church, pending changes to our Book of Discipline. To view the letter click “Our Letter” in the header.